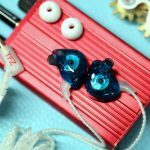 TFZ is a not a new name in the world of audio products. The company was established in 2015 and is based in Shenzhen, China. 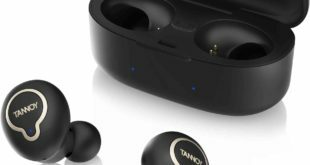 It gained fame in early 2016 as a manufacturer of TFZ Series high-end audio products with exquisite elegance, and still, produces a wide range of Headphones products. Speaking of earphones, TFZ now has a wide range of in-ears headphones. Most of these are budget products, priced at or below $100. 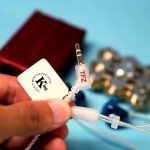 The newest product in this range is the TFZ Exclusive King, which is similar to the other TFZ Exclusive series earphones in many ways. 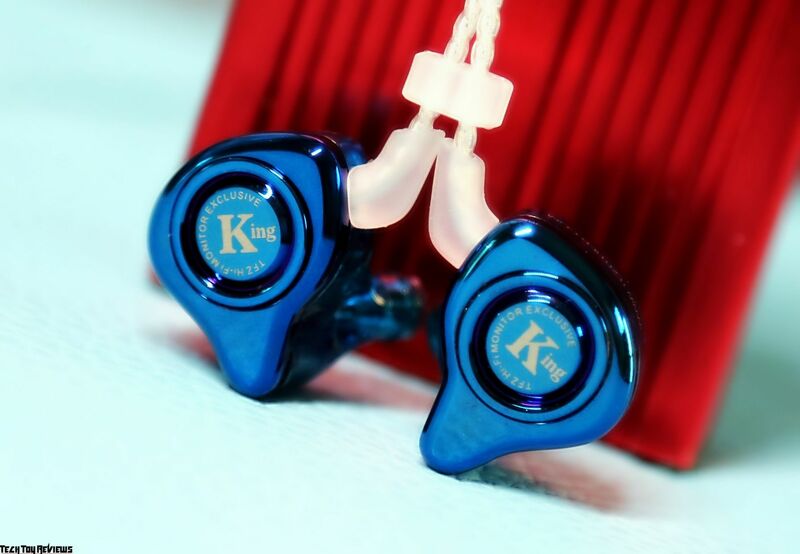 Sitting at the top of a three-product range, the $99 King is the company’s flagship earphones. Let’s see the TFZ Exclusive King review below if they are the upgrade you’re looking for. 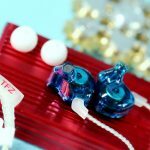 The TFZ Exclusive King features 12mm double magnetic circuit Graphene drivers, 12 Ohms of impedance, 110dB sensitivity, a 5 Hz一40kHz frequency range and a 1.2m braided cable. It’s a slightly big headset as well since the casing is made mostly of plastic. The transparent finish looks good, although it is only available in blue color so it’s too bright, and in our opinion, it looks great. Although, the casing is shaped differently, which has King signature effect on it. 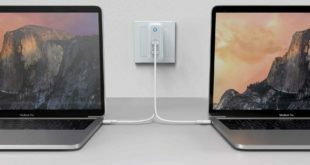 The braided cable in white color is by far the best in terms of looks and durability, but is also fairly tangle-prone and comes with the gold-plated 3.5mm plug. 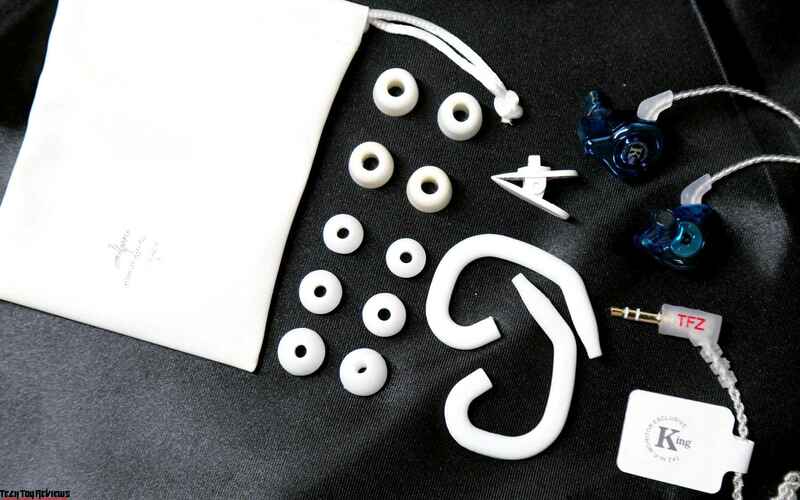 In the box, there are three pairs of silicone tips (S, M, L), one pair of double-flange silicone tips, one pair of foam tips, one pair of silicone ear guides, a small carry-case, a shirt clip, and user manual. 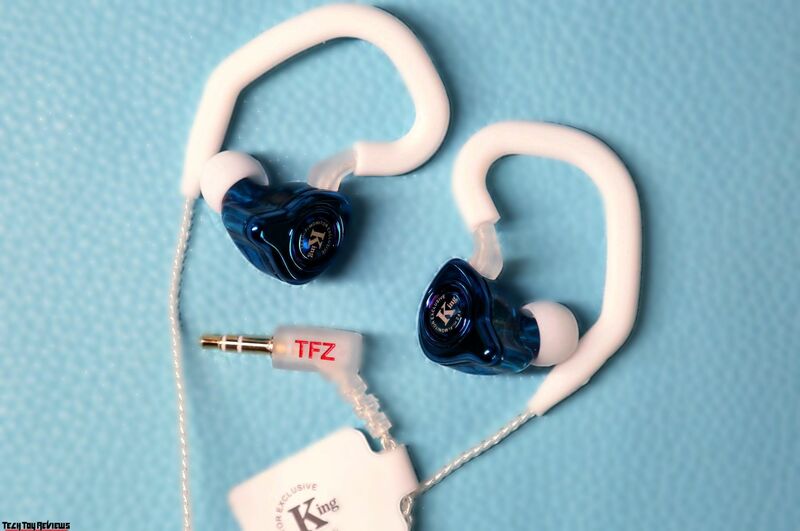 The TFZ Exclusive King is a bit heavier to put on, but it’s quick and comfortable, but we recommend you to use different pairs of bundled ear-tips for more comfort. On the whole, the TFZ Exclusive King is great in terms of design and looks and good in comfort. We noticed that the bass quite evidently overpowered the other frequencies. We aren’t surprised because of the demographic that the TFZ is targeting demands this kind of a sound signature. We played a wide range of songs with an emphasis on low-frequency sounds. In fact, all the instruments that are layered on top of each other in tracks are clearly audible. However, we weren’t pleased with the quality of the treble, the midrange and bass were overpowered it. 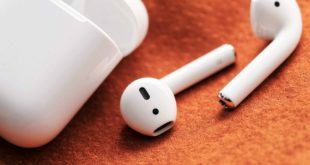 Most budget earphones are tuned to support bass and give you more power. That’s what the target audience seeks, and that’s what TFZ cater to. 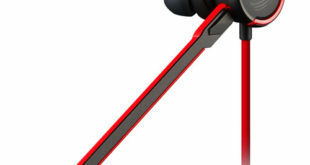 At $99.00, the TFZ Exclusive King is a great pair of earphones for the audiophile.